Posted Monday, November 12th, 2012 by Robyn Warner. 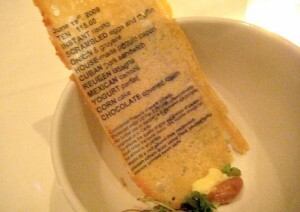 Did you know there is printer ink available that is edible? The concept of edible ink may seem unusual, but chances are you have seen it (and maybe even eaten it) before. Have you ever been to a kid’s birthday party that had a cake with a picture of Buzz Lightyear on it? Though cake designers are talented artists, many of the incredible images you see on these cakes are not intricately drawn on by hand with a bag of icing, but are actually printed with edible ink. Weddings are another perfect occasion for edible ink. 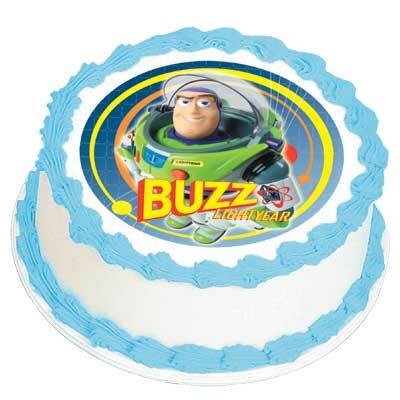 Images on cakes are not limited to cartoon characters and clipart. Photographs can be scanned and turned into cake decorations. 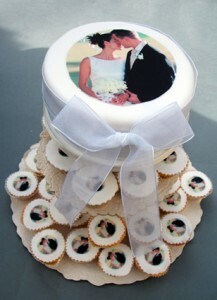 The images can be shrunk down and put on smaller treats too, like little cupcakes or cookies. Edible ink comes in cartridges, which are installed into the inkjet printer, just like standard inkjet cartridges. Laser printers are not yet able to print edible images because they require powder toner and a fuser. It is strongly recommended to have a printer used exclusively for edible printing, as using a machine that has previously had standard ink installed could be toxic. If you cannot purchase a printer specifically for printing edible images, make sure you clean your inkjet printer very thoroughly. Frosting sheets or rice paper can be fed through just like plain paper. The art or image will print on the edible paper with vivid colors and accurate detail. That edible paper must then be applied to the top of the tasty treat, which can be adhered using icing or a spray. Be sure to be gentle when applying the paper to the cake and tap lightly to get rid of any air bubbles. Edible ink cartridges can be purchased from a number of small vendors as well as a few major vendors, such as Amazon.com. Most major manufacturers produce edible ink, including HP, Canon and Epson. There are a number of inkjet printers on the market that support edible printing, such as the Canon ip3600, which is recommended by edible ink specialty stores. For other models, you should consult your manual or contact customer service to find out if your machine is able to print with edible ink. The majority of people in the world will never have a need to use this fun and unique technology. However, if you are running a cake shop, changing the face of restaurant menus, or simply looking for a way to make your kid’s birthday extra special, all it takes is an inkjet printer and some edible ink to create something very unique and memorable. We are glad that you found our article helpful, I hope that your daughter had a wonderful birthday. You should really leave the ink cartridges in the printer to avoid them leaking or drying out. You might also want to try and use the ink every so often just on small projects to keep the ink flowing through the printer. Please remember when printing with edible ink you should have a dedicated printer that only prints with the edible ink.